This year’s Brighton Fringe will play host to a brand new seaside venue, Republic; a magnificent 500-seat Spiegeltent which brings with it a scintillating (and titillating) programme of comedy, cabaret, food, drink and merriment. Headlining this year are Briefs, the cult, critically acclaimed “boylesque” troupe whose mix of burlesque, comedy, cabaret, circus, artistry and anarchy – all in a party atmosphere – has gained them a devoted following worldwide. Finally making their Fringe debut by the Sussex seaside, Briefs and Brighton are a match made in heaven. 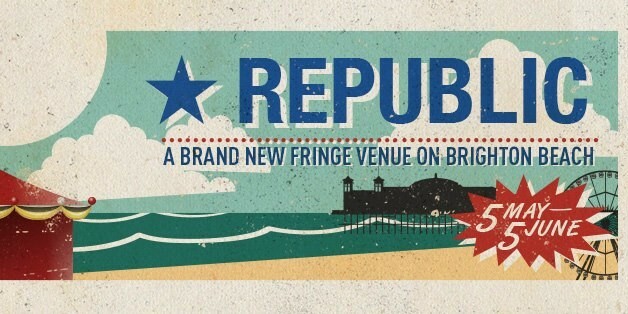 Republic will also play host to some of the country’s finest comedians, including star of The Impressions Show Debra Stephenson performing her hilarious live show, Balls of Steel supremo Mark Dolan, Fosters Edinburgh Comedy Award winner and star of BBC 3’s Top Coppers John Kearns and his partner in absurdist experimentation Mat Ewins. 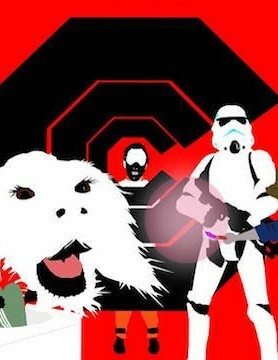 Other comic institutions include Comedians Cinema Club – in which your favourite comedians attempt to act out your favourite films, and Comedy in the Dark, which requires no further introduction. This exciting new addition to the Brighton Fringe landscape will also be a site for exploring the weird and wonderful realms of improv-hip-hop-comedy in the form of Abandoman; the stylish, hilarious and occasionally surreal East End Cabaret; cult play-along video game comedy in John Robertson’s The Dark Room; pioneer of ‘new cabaret’ Dusty Limits; noir vaudevillian circus from Black Cat Cabaret and cabaret-circus from Marijana’s Milk Tray. During the day Republic will become a hub for family entertainment, totally transforming everyday trips to the beach with shows from world-class beatboxer Shlomo, time-travelling magicians Morgan & West and the Amazing Bubble Man. All of this amazing live entertainment, along with food, drink and festivities, in a fantastic seaside Spiegeltent: Republic is the ultimate Brighton beach party. Discover more of Fringe 2016 here.